Yes, yes, I know - another review. It seems I'm easily bought with food. As an aside, I got offered weight loss treatment for review a while ago, which I declined as I have a terrible aversion to talk of weight loss. Weight GAIN, however, I can get on board with. As I have probably stated before, I don't have a sweet tooth. I do, however, have a BIG weakness for savoury. Alongside cheese, I think crisps are probably my biggest weakness. How could I therefore turn down the opportunity to try Walker's new "Hoops and Crosses" snacks? 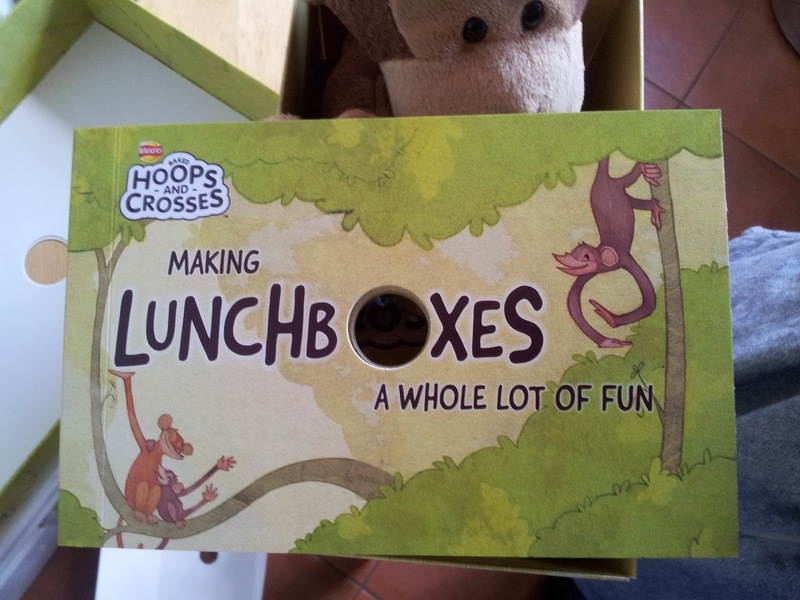 Bizarrely, I think they are actually aimed at the kids. How dare they. The "selling point", if you will, is that these new snacks differ from their existing range in that they are a) baked (and therefore lower in calories than standard crisps - 85 cals in a packet to be precise, although it should be noted that you do only get 18g in a bag, vs 25g for a standard bag of Walker's crisps), and b) 56% wholegrain. 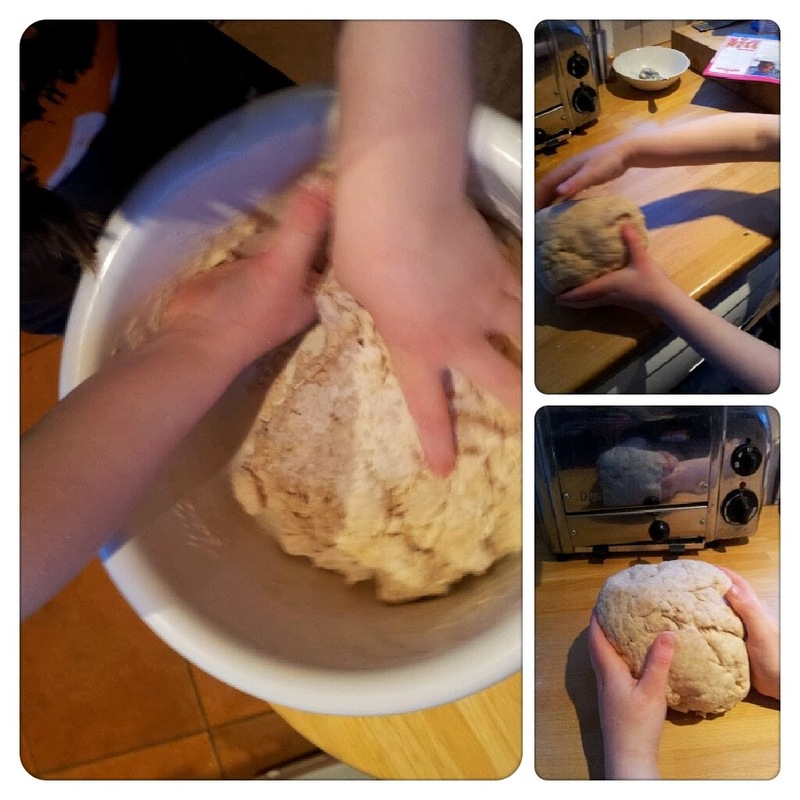 According to the people at Walker's 27% of children in the UK do not get any wholegrain at all. Obviously, I'm not a nutritionist, and can't verify that myself, but a quick google search confirms that wholegrain is generally a Good Thing. The thing about lower calories can often be that other nasties are put in to replace the lovely taste that fat gives us (sugar and salt being the obvious candidates). So, yes, the hoops and crosses are higher in sugar than normal crisps because of the specific flavours used, but I was pleased to see that they aren't noticeably higher in salt. 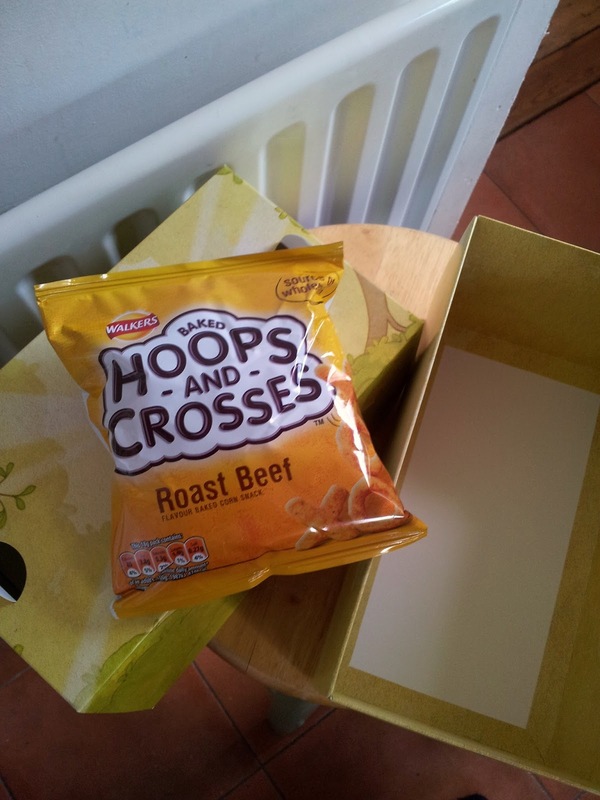 Hoops and Crosses comes in 3 flavours - Roast Beef, Prawn Cocktail and Salt and Vinegar. Sadly we were sent the roast beef flavour, because I confess that, despite my love of crisps, I personally loathe both roast beef and prawn cocktail flavours, finding them generally too strong and artificial-tasting (interestingly it appears Walkers do not do their "standard" crisps in roast beef flavour any more). However, it seems they went down a treat with the rest of the family, so what do I know! The overall texture is similar to other baked corn snacks, and while the wholegrain is visible, it did not seem to affect the taste in any way. I'd buy these - although I'd love to see a few more flavours! Are friends really better than dads?